Silvertop, an iconic hillside residence that embodies the quintessential L.A. showpiece home, is on the market for the first time since 1974. 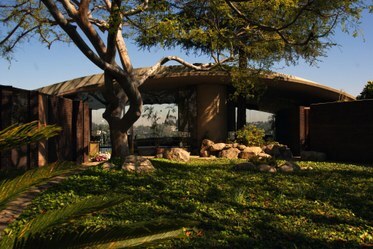 We take a look at the history of the home, and the legacy of the architect behind it, John Lautner. Lautner created dramatic, space-agey homes all over Southern California from the late ‘40s through the ‘80s and was a leader during the region’s golden age of modernist design.